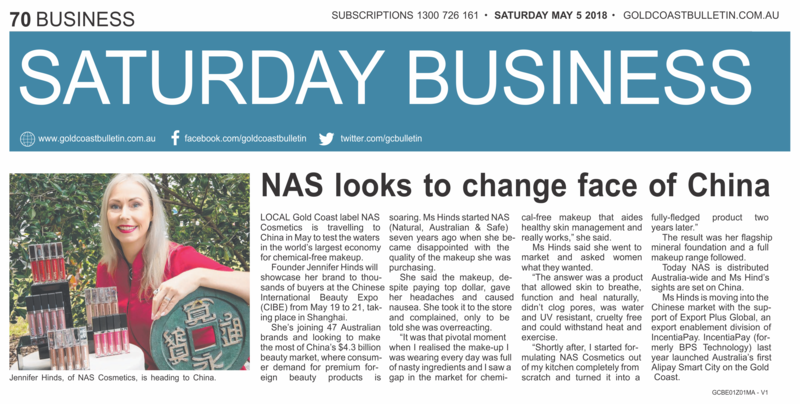 NAS Cosmetics is travelling to the Chinese International Beauty Expo in May to test the waters in China’s $4.3 billion beauty market with the support of Export Plus – an export enablement division under IncentiaPay. 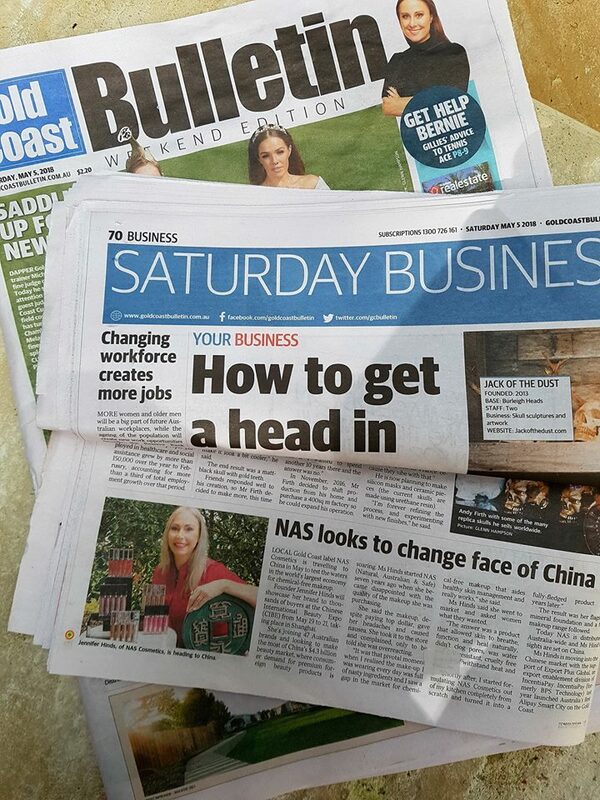 Thank you Gold Coast Bulletin for the coverage! – page 70 in the weekend edition. 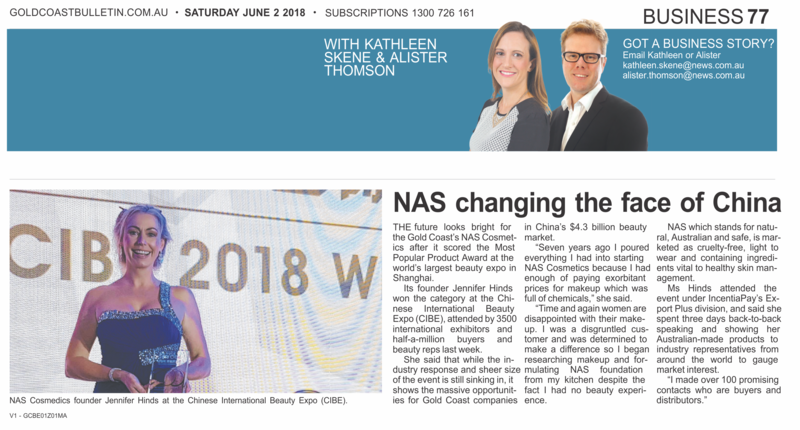 THE future looks bright for the Gold Coast’s NAS Cosmetics after it scored the Most Popular Product Award at the world’s largest beauty expo in Shanghai. International Beauty Expo (CIBE), attended by 3500 international exhibitors and half-a-million buyers and beauty reps last week. She said that while the industry response and sheer size of the event is still sinking in, it shows the massive opportunities for Gold Coast companies in China’s $4.3 billion beauty market. Thank you Gold Coast Bulletin for the coverage! – page 77 in the weekend edition.